Getting a Tattoo in Bangkok in the Instagram age. If great artists of past were alive today, would they have embraced 21st-century social media? Would Da Vinci, Van Gogh, Rubens, or Rembrandt use Instagram, as a means of showing, sharing and promoting their work? As unlikely as it seems, you may be surprised to learn that there is an amazing number of modern-day artists who do just that. Not only do artists ‘share’ their work on Instagram, but collectors and art buyers are also using social media to keep themselves abreast of what is happening in the fine art world. Instagram has even become part of the chain that leads to art sales. It doesn’t take a big stretch of the imagination to envisage artists in a bygone age of the caliber of Picasso or Salvador Dali or possibly Toulouse-Lautrec loving such a medium. Picasso, renowned for his womanizing, would probably have had a field day searching for his next mistress amongst the millions of his devoted Instagram followers; and surely Toulouse-Lautrec would have embraced such a wonderful method of sharing his provocative images of decadent, seedy theatre life in Paris – he might have started the first ‘adult’ art website. As far as tattooing is concerned, although its origins stretch back into the mists of time, it is not until relatively recently that it has become regarded as a true art form. It is now acknowledged that serious tattoo artists are worthy of artistic respect – every bit as much as the more conventional artists who put their creations on canvas, rather than on a person’s skin. So it comes as no surprise that there has been an explosion of tattoo images on the internet, with Facebook, and in particular, Instagram – the app that specializes in sharing high-quality images – leading the way. But there is one key difference between tattoos and most other forms of art that are posted and shared on Instagram. Not only do the artists display their latest creations, but the recipients of these tattoos also rush to show the world their latest artistic embellishments. After all, Instagram has 500 million users. 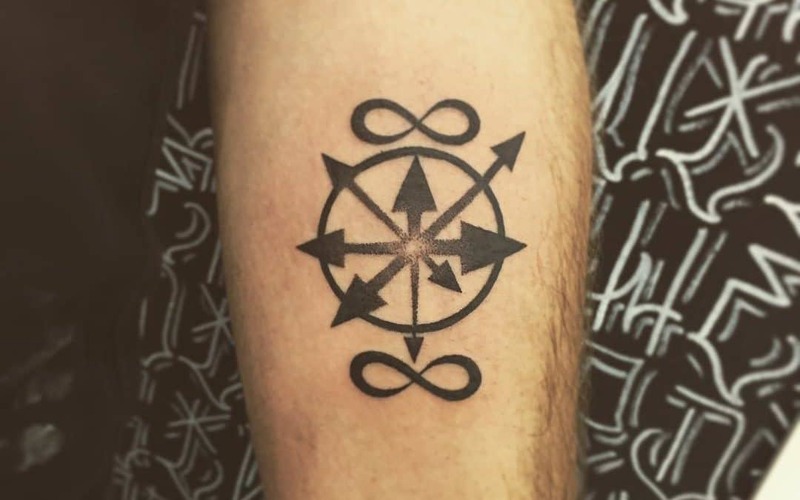 Does Instagram benefit the tattoo industry and its customers? What exactly does Instagram do for the tattoo industry? – For the artists, and for their studios? And what does it say about the untold numbers who choose to show the world their tattooed bodies? It may be that showing our tattoos is merely an extension of the current craze to post selfies and other pictures of ourselves, our friends and our families. Whenever we buy a new camera drone to spy on our estranged spouse, or we go for a day out at the museum of broken relationships, or we have a crazy dog that turns cartwheels whenever he sees a stranger in our bedroom, we know without a shadow of doubt that the world is waiting with bated breath for us to reveal all these developments on social media. But do we really want to see all this private stuff? Or are we simply going through the motions? When a new image appears on our media screens, how many of us press the ubiquitous ‘like’ button without giving it a second thought – after all, we don’t want to offend anyone. Do we feel obliged to reassure our social media friends that we love looking at their personal images and read the revelations about their private lives – in many cases from people who we have never actually met? Is the need to make our lives an open book, and to share our every waking moment with the world’s social media community simply a desperate attempt to fill a hole in our unfulfilled lives? Are we struggling to find self-expression and purpose in an ever more dysfunctional, corrupt, unfair and uncaring society? Even worse, do we secretly crave trolls that will make us the center of attention, which will help to crank up the numbers of our shares and ‘likes’ – even if everyone hates us? As for tattooing, does the act of posting of my brand new tattoo on Instagram actually benefit anyone? Well, if the tattoo is truly a work of art, then hopefully my followers will admire its aesthetic quality – and as an added fillip, their admiration may even be tinged with envy! It will also help to spread the world of modern-day tattooing to a wider audience; to show people what can be achieved by a gifted artist – to educate and demonstrate the skills and artistry of tattooists at the top of their game. But suppose my heart-shaped tattoo says, “I Love Lola”, with tiny cupids etched around the edges? It is more likely to invite a sneer of derision – especially if I am in the habit of changing lovers every month or so. So there are certainly a number of mixed benefits and blessings for those of us with tattoos on our bodies and who choose to share them on Instagram. For the artist, Instagram can also be a mixed blessing. On the plus side, they can show the world their latest creations, hot off the skin, so to speak. They can proudly display them to their fellow artists, who in return, will share their own latest designs. All this activity creates an online community of tattoo artists and tattoo admirers; a place where ideas and new artistic trends can be shared. This online interaction can only benefit the tattoo world in general and the artists in particular. But an artist’s rush to garner indiscriminate ‘likes’ will sometimes take precedence over artistic quality. An honest assessment of what is really good may no longer matter, as tattoo artists who gain the most ‘likes’ rise to the top of the Instagram tattoo totem pole. This will lead to some artists to prioritizing the acquisition of ‘likes’ over the creation of high quality, original tattoos. Tattooists with the most ‘likes’, will become regarded as the best artists, which is clearly not always the case. No more than Lady Gaga, Beyoncé or Taylor Swift can lay claim to being the best singers, just because they have millions more ‘likes’ than other singers. It is highly likely that many people, who have hit the ‘like’ button on a tattoo image, do not possess a tattoo and never intend to have one. If Damien Hurst’s sheep in formaldehyde – original and thought provoking though it might be – receives more ‘likes’ than the Da Vinci’s Mona Liza, or Van Gogh’s Sunflowers, does that mean that his post-modernisitc art is superior to the ancient masters? Many on social media who know nothing about art might well think so. We reach the silly situation where the sharing media power of one particular tattoo artist may attract more ‘likes’ than a better artist who is not so skilled in the acquisition media followers. So if you are looking for a high-quality tattoo, it is probably wise to discount the number of ‘likes’, a tattoo artist and his tattoos happen to receive. A dedicated and experienced tattoo artist is purely motivated by the desire to create the best possible work of art for his client. There is only one person who really needs to ‘like’ it – his client. It will be an added bonus if the client then proudly posts the tattoo on Instagram. The artist may also share his latest creation with the Instagram community. This will do much for his self-esteem, and help to promote his skills to a wider audience. But let’s not allow our artistic judgment be affected by the number of ‘shares’ and ‘likes‘ that a particular tattoo receives on Instagram. If so, we may be doing the artist a grave injustice. At ALL DAY Tattoo, we share pictures and videos of our client’s tattoos to give them good memories of their experiences, and so that future clients can get some idea of the work that we put out. Our artists aren’t involved in this process at all. In fact, they don’t do anything except artwork at our studio. We believe that artists are able to express themselves best when they’re able to concentrate on creating, not worrying about the 100 other little things (like cleaning, stock, Social Media etc) that go into making the best tattoo. Get in touch with us about your tattoo idea and know that you’ll be speaking to a relaxed and empowered artist who’s whole job consists of making artwork that will delight you.